With the release of SHADOWGUN to Tegra devices yesterday, NVIDIA asked if we would be interested in giving away a tablet and some other prizes to one of our fantastic readers as a way to celebrate. Like we would turn that down, right? 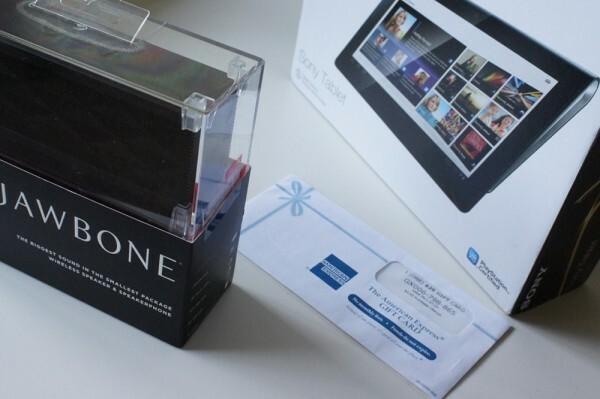 So upon agreeing, they shipped us over a Sony Tablet S (powered by Tegra), a Jawbone JAMBOX speaker, and a $25 gift card. The prize packages is valued at over $700 and is one of the more impressive you’ll find anywhere. So all we asked that you do yesterday was follow @NVIDIATegra and us on Twitter, and then leave a comment. Well, almost 1,500 of you entered in 24 hours, making this another unbelievably successful DL contest. You guys are seriously the best. Classic name. Congrats on the win! Thanks again to everyone who entered. And especially, a huge thanks goes out to NVIDIA for sponsoring. Be sure to check out their Tegra Zone for all of your gaming needs. To the 1,456 of you that did not win, don’t worry, as we have a lot more stuff to give away next month. We are talking tablets galore, people. Stay tuned for those details on Monday!